The beauty market is bursting at the seams with new hair products for your oily hair. 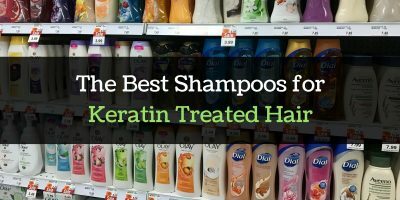 If you are the kind without a consistent regimen, you may be sucked in with each new promise of the best shampoo and conditioner for oily hair on the market. The truth is, no one would blame you seeing that the right product for oily hair is not a walk in the park. In this review, we will look into the best products and justify why they deserve a spot here. Maple Holistics Degrease Shampoo is made with rosemary to rejuvenate the growth of cells and cypress. This will naturally suppress the secretion of extra sebum without drying the hair or scalp. It de-greases well, but be warned it is not a conditioner. You will still be required to condition your hair with a different product. Moroccan Oil Shampoo - Like most products from Morocco, this shampoo contains argan, that helps manage a dry scalp. It works as both an agent for controlling greasy hair, as well as a dandruff manager. Albeit this shampoo contains all organic ingredients, it also contains a mild sulfate. Your hair could fall prey to its desiccating effect if used too often. If you don’t mind spending a little more for a 16oz bottle, then Honeydew’s Natural Oily Hair Shampoo with Organic Essential Oil Formula is the product for you. Be warned the product does not lather as much as most baiting you to add some more. A pea-size portion is enough to cleanse your hair thoroughly. Its price tag has not stopped Klorane Dry Shampoo﻿ with Nettle from being a favorite of many oily haired customers. It contains nettle extracts, which are said to stimulate hair growth from the roots, as they minimize the hair grease. This product is in spray form, and you can leave it on after application. It is best applied from a safe distance, of up to 12 inches to protect your eyes. If you are cash-strapped but still want a shampoo that treats your oily hair well, Head & Shoulders Instant Oil Control Dandruff Shampoo has your back. This shampoo doubles up as an anti-oil agent as well as an anti-dandruff product. It is advisable to only use it a few times a week as daily use could dry your hair. When using hair products to tame the excess oil on your hair, it is a thin balance. On the one hand, you want less oil on your hair, while still hoping to retain to the good nourishing oil. This shampoo is made with organic, natural ingredients. Lemon, with its citric acid and Vitamin C, strip off some of the excess oil without compromising its consistency. Rosemary stimulates cell renewal while Cypress, containing δ-3-carene and α-pinene, balances sebum. This shampoo also aids in hair growth, since it contains basil leaves. As for moisture, jojoba and peach kernel form part of the ingredients, and so they cover that front. The results from this product show differently in people. Some, especially those with extremely oily hair, may take longer to see the results. Those with less but greasy hair, nonetheless report results sooner. The packaging is as simple as they come, but it will do. The price is, however, a bummer for most customers. They say it is priced on the higher side for a 16oz bottle. It de-greases without stripping the hair of essential oil. Results take long for some hair types. True to Moroccan style, this shampoo is argan-infused thus healing the skin of flake. To this end, this product not only promotes the removal of extra oil but also helps clear dandruff. It comprises of a handful of ingredients, all of which play distinctive roles. Wheat germ has a host of vitamins, including A, D, and, and B1, B2, B3 and B6, all of which help regenerate cells and calm the scalp. Moroccan hair shampoo leans heavily on healing the scalp and easing the dandruff issue. For this reason, it is more beneficial to those fighting a combination of oily hair and dandruff, than those solely looking for shampoo for oily hair alone. It contains Disodium Laureth Sulfosuccinate, which may leave a bitter taste in your mouth, but the manufacturer says that this kind is quite gentle even when used in high concentration. It smells sweet from the bottle, and the aroma lingers long after you have rinsed it off. It is packaged in a slim bottle, and the contents are 8oz. The consensus is that the product, though great, is too pricey for its size. It is a double agent-anti-dandruff and degreasing agent. It is too pricey for 8oz. If used daily, it can dry your scalp. With ingredients such as rosemary, yarrow, and organic lavender, this product seeks to get to the root of your oily hair. The idea is to manage the production of sebaceous oil, which nourishing the scalp to prevent flakes. Evening primrose is high in Gamma Linolenic Acid content to prevent thinning of hair. This shampoo plays three essential roles in one. It nourishes the follicles (for cell renewal) promotes hair growth, and minimizes shine. The 16oz bottle has a pump that makes dispensation easy. The shampoo itself is not too runny, and so you can easily minimize wastage. You can pair it with any conditioner. This product works as described, but you would want to check the frequency of use. If your hair is extremely oily, you can use it as often as daily. You will want to minimize it to about three times a week if your hair is less oily to prevent drying the scalp. Works well with colored hair. It is free of paraben and sulfates. It takes long to see results for extremely greasy hair. This shampoo is an aerosol that you spray from a safe distance, and then brush through for the desired results after allowing it to sit for two minutes. It is a dry shampoo, and so you do not need to rinse it off. This product serves as your go-to during the week when you do not wish to overdo it for fear of stripping it of moisture. It contains nettle extracts, which promote hair growth from the follicles. The shampoo has a pleasant smell that lingers hours after you have used it. It comes in an ordinary spray bottle but costs quite a lot for its 3.2 oz. This shampoo is a dry product; you would still need to supplement it with another oily one. Go easy on it as frequent use could cause your hair to dry. You don't have to rinse it off. Gets rid of odor effectively. Dry shampoo, so you would still need to buy a separate product. Head & Shoulders Instant Oil Control Dandruff Shampoo not only removes extra oil from your hair, but it also combines the pharmaceutical power of pyrithione zinc to control dandruff. It is fortified with mango and lemon essences, which give it its pleasant smell. The consistency is not too runny, and so you only use as much as you need. The hair absorbs this product quickly to provide instant oil control. The packaging is appealing because the container is easy to handle and has a cap that you flip to seal it even with one hand. Your standard bottle is 22.5oz, which is quite good for its price. This Head & Shoulders shampoo does not lather well, you may end up splurging, which will be money down the drain. Balanced pH works well with colored hair. The results take too long for extremely oily hair types. It dries the hair if used on a daily basis. Moroccan Oil Natural Oily Hair Conditioner is made out of natural products, without paraben and sulfate. It is meant to manage an itchy scalp and to reduce flake on both colored and uncolored hair. Formulated with Australian tea tree, Desert Essence Conditioner ranks highly on the list for the best oily hair conditioners due to its ability to manage excretion of oil at the roots. It not only conditions but moisturizes the hair as well. Tea Tree Oil Hair Conditioner comes in a set with the shampoo, and the quantity is 16oz for each. It is packed in your ordinary bottle, and is colorless. The packaging is not great, because it could easily slide when you handle it with wet hands. The product is not runny, and sp you hardly waste any. If you are out there looking for a good conditioner that will last you a while, this 33oz Paul Mitchell Tea Tree Special Conditioner bottle will stretch a while. It is well priced too. The tea tree in this conditioner gives it its oil-control property. The pH is balanced to prevent it from stripping the color of your dyed hair. If you have a flaky and dry scalp, the active ingredients in J﻿o﻿hn Frieda Root Awakening Hydrate and Nourish Conditioner could take care of that. It contains no paraben or sulfates, and it is recommended for daily use. We would, however, recommend you alternate it with another to keep your hair from drying. Let's check our comparison table and detailed reviews on each product. ​Because the active ingredients in this product are natural, there is little concern for buildup or residue. This conditioner seeks to address oily hair as well as hair that has been weakened by constant coloring. It is clear-colored and quite runny, so you may want to be cautious when squeezing it out to avoid wastage. It has a pleasant citrus aroma that lingers even after you have rinsed it off. With aloe and sesame as some of its active ingredients, this shampoo is meant to soothe the hair, rejuvenate the cells for growth, and rid it off the excess oil extracts. Other ingredients include organic borage, jojoba, and argan oil, all of which rank highly. This conditioner does not strip your hair of color. If you are looking for a permanent solution to dandruff, this product might not be it. It manages the situation but does not stop it completely. It is gentle on hair. It is a tad too runny. It does not eliminate dandruff completely. ​This lightweight conditioner penetrates quickly into the hair, to manage oiliness from the roots. Apart from the Australian Tea Tree, it includes jojoba seed oil which aids in the smooth penetration. Because this conditioner is light, you see results from its application almost as soon as you start the application. It leaves the hair soft and moisturized, even after the hair dries. It smells citrusy from the lemon extracts that form part of the ingredients. It is colorless and slightly thick, which prevents you from wasting too much of it. A little of this conditioner goes a long way. For the best results, it would be advisable to leave it on for about two minutes before rinse off. It is packed in an 8oz squeezable tube. Contains Behentrimonium Methosulfate, though the mildest kind. Not all ingredients are natural. ​Tea Tree Oil Hair Conditioner is slightly thick to prevent you from squeezing out more than you need. With this tea tree conditioner, a little goes a long way. You feel the results as soon as you rinse it out. It leaves the hair silky and it stays like that all day. This conditioner is made with tea tree, which regenerates cells for hair re-growth. Lavenders and rosemary will improve the circulation of blood to help with cell regeneration too. They also manage the sebum without stripping it off completely. Your hair retains its moisture and shine. It is a good bargain especially if you buy it as a set and it has a pleasant smell. Paul Mitchell Tea Tree Special Conditioner doubles up as a detangler, especially after you gave rinsed it out. For the best results, you could just leave it on for about two minutes. Due to the lack of harsh chemicals, you can use this conditioner every day. It is light on the hair and does not build up with use. It contains peppermint, which not only makes it smell amazing, buts also rejuvenates your hair follicles for hair growth. Addition of lavender leaves your hair feeling light, silky, and clean. The pump on it ensures that you squeeze out just the amount you need. It does not lather too much, but let that not tempt you to add more than you need. The peppermint keeps it smelling minty. Dries the hair if used constantly. ​John Frieda Root Awakening Hydrate, Nourish Conditioner not only manages oily hair, but it also moisturizes it to prevent it from drying out. This product contains ingredients such as peppermint, which helps with cell regeneration, and eucalyptus, which hydrates the hair. These ingredients penetrate deep into the shaft to repair it and to heal the scalp. It contains Sodium Ascorbyl Phosphate, a derivative of Vitamin C that carries powerful antioxidants. The Salicylic acid works on the scalp. This conditioner is packed in an 8 oz easy-to-squeeze tube and its consistency protects you from overindulgence. 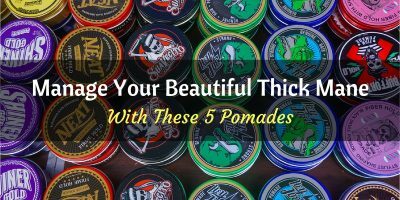 You only need a pint-size to cover your hair entirely and get amazing results. It is light on the hair. Why Should You Be Keen On The Shampoo You Use? ​Your choice of shampoo will determine the outcome. In as much as your sebaceous glands work overtime, using a harsh shampoo could strip your hair of all its moisture, leaving it frizzy and lifeless, but still extremely greasy. Lively hair with body as opposed to a limp mess. Dandruff control, as most people with oily hair also suffer flaky scalps. Generation of hair follicles from the natural ingredients such as rosemary. Why Should You Care About Conditioning? Conditioning seals all the goodness that you have imparted to your hair after using a good quality shampoo. Conditioners reach deep to hydrate and nourish hair in parts where moisturizers cannot reach. The ingredients penetrate deeply to improve blood circulation, which leads to hair growth. Deep penetrating ingredients will solve the excess sebum concern from the root, effectively helping you manage your oil production. It improves the texture of your hair. It nourishes your hair to reverse the damage done to it by hair color and other harsh chemical processes. Sulfate and paraben-free products will be gentle on your hair and scalp. In as much as you want to be frugal, you cannot afford to compromise on quality. A good product may cost more, but it will be worth the price. The ingredients are king. Natural ones are the better option. They should also be as light as possible to prevent product build-up. From the review of shampoos for oily hair, we like Natural Oily Hair Shampoo from Honey Dew for its ingredients. Yarrow, lavender, evening primrose, and rosemary make a great combo. We also like the smell and pump. For the best oily hair conditioner, we were spoilt for choice, but settled for John Frieda Root Awakening Hydrate and Nourish Conditioner from John Frieda due to the natural ingredients in it. It has a pleasant lingering smell and is gentle on colored hair.